I don't think anybody has ever stated this as a fact publicly, so I'm going to go ahead and be a pioneer: all successful comedians, meaning people who make a good living as a stand-up comedian are geniuses. That includes: Kathy Griffin, Margaret Cho, George Carlin, Richard Pryor, Robin Williams, Steve Martin, Amy Schumer, Hannibal Buress, Sarah Silverman, Eddie Izzard, Ellen DeGeneres, Joan Rivers, Stephen Colbert, Dave Chappelle, Wanda Sykes, Ali Wong, Louis C. K. etc. etc. etc. And yes, even Bill Cosby. Being a genius doesn't make you a good person. Just smarter than most of humanity. 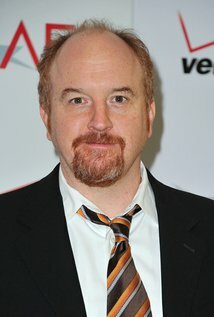 I saw Louis CK's most recent special 2017 and that reminded me of this fact. Louis CK made me laugh hysterically by doing a riff on the fact that Christians "won" because all over the world human cultures observe the current date as the number of years since the birth of Jesus Christ. Everybody knows the date thing is true. It takes a genius to make it funny. Louis C. K. is especially brilliant, which I've said before. He's so brilliant that his comedy walks a very thin line between humor and philosophy. The same is true of Stephen Colbert. So when the two of them get together, the purest truth cannot help but explode into the world. Watch.